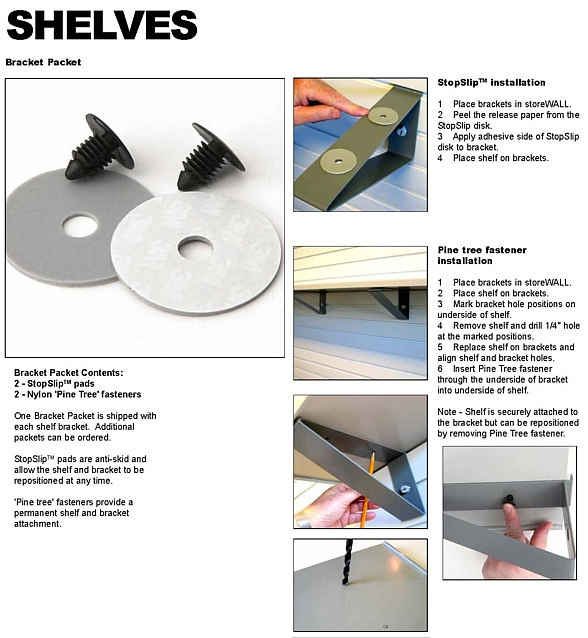 Notes: For use with storeWALL brand fifteen inch deep shelving. Designed for demanding applications and includes all required hardware (shelf not included). Each storeWALL shelf bracket will increase the capacity of your shelf by approx. 100 pounds. Each bracket includes the exclusive storeWALL CamLOK system which prevents movement of the bracket/shelf once placed in the slatwall slot. For use with slatwall systems only.